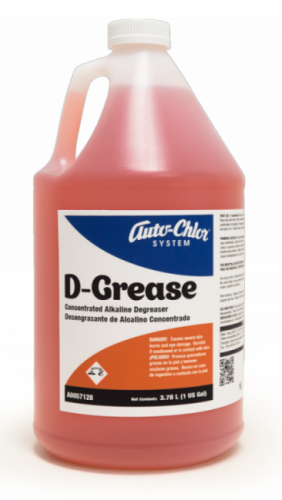 Auto-Chlor System D-Grease is a concentrated alkaline heavy-duty formulation. 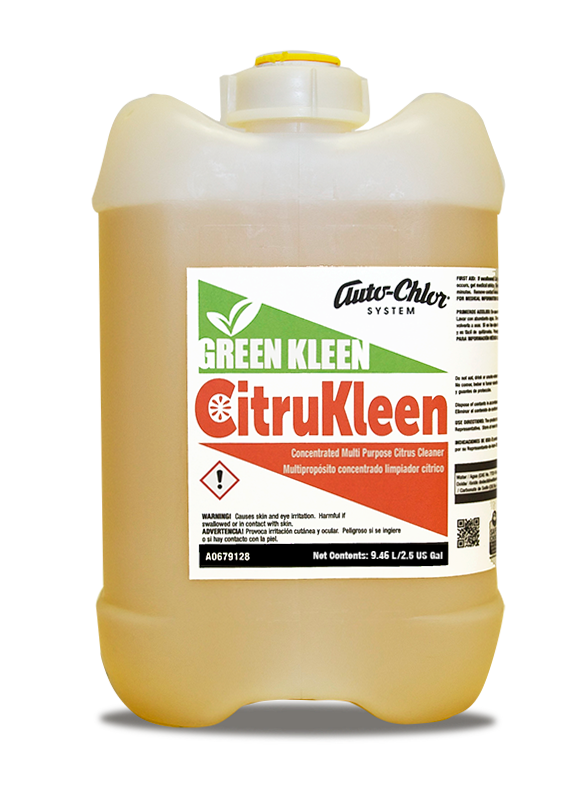 The unique blend of organic solvents and non-ionic surfactants combine to provide the detergency and penetration of soil demanded by today’s foodservice professional. 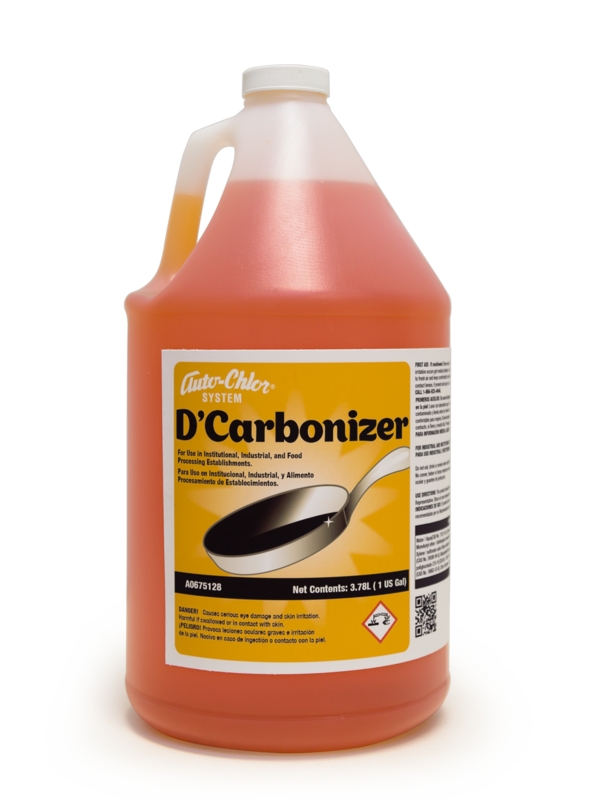 Grease, oil and carbonized soil is quickly emulsified and lifted from the surface to allow “wipe away” cleaning effectiveness. 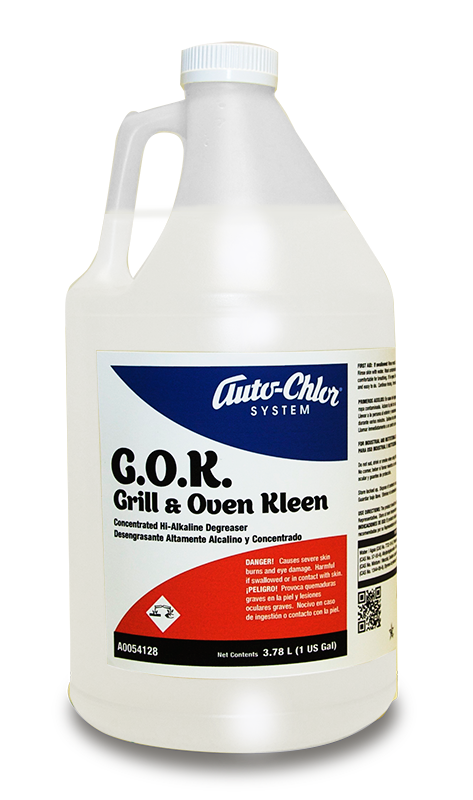 Ideal for cold and warm surface application with stove-tops, cooking equipment, flat grills, deep fryers, ovens, broilers or hood & vent equipment. 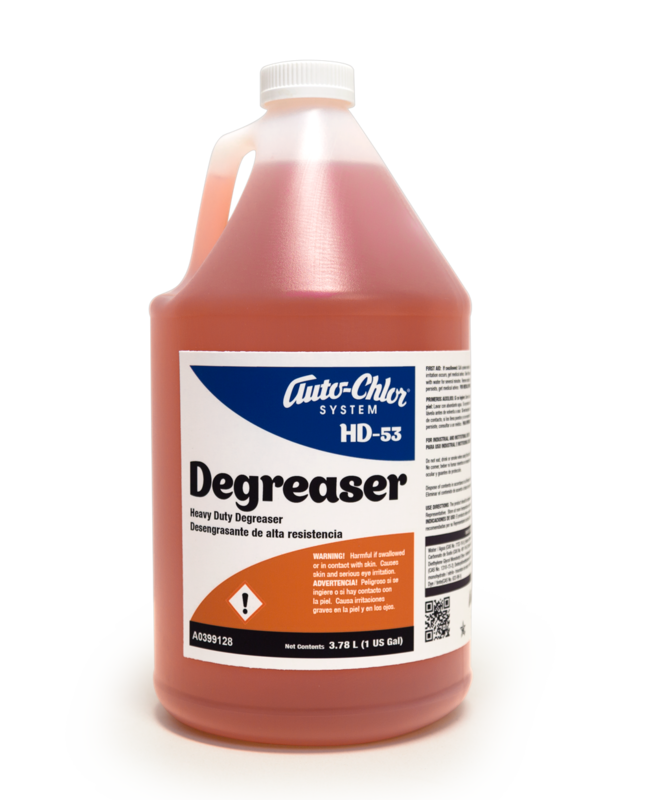 Non-fuming and odorless, Auto-Chlor System D-Grease will enhance operator safety and user friendliness.